Oh my goodness….it’s almost here! Spring Break seems to always sneak up on me. If you are one of the lucky ones you have already planned and prepared a get-a-way with your family! Others (like myself) either don’t get time off of work, or are learning the act of being frugal with their funds ( I have both strikes against me this year….but read about my financial accomplishment last month here.) So here’s a list I have compiled to help make your ‘stay-cation’ an exciting one. Pick your favorites and schedule your week of fun! 2. Go to the Library. Seriously, I don’t know about your kids, but mine love looking at new books, even if your kid isn’t an avid reader, take them anyways, and encourage reading. 3. Have a craft day. Spend some time online looking through blogs for some fun crafts to make with the kids. Channel your inner child and participate as well…you’ll be surprised how happy it makes you feel! 4. Slumber Party!!! I know, I know, slumber parties are still a source of anxiety for me as well…but do it anyways. 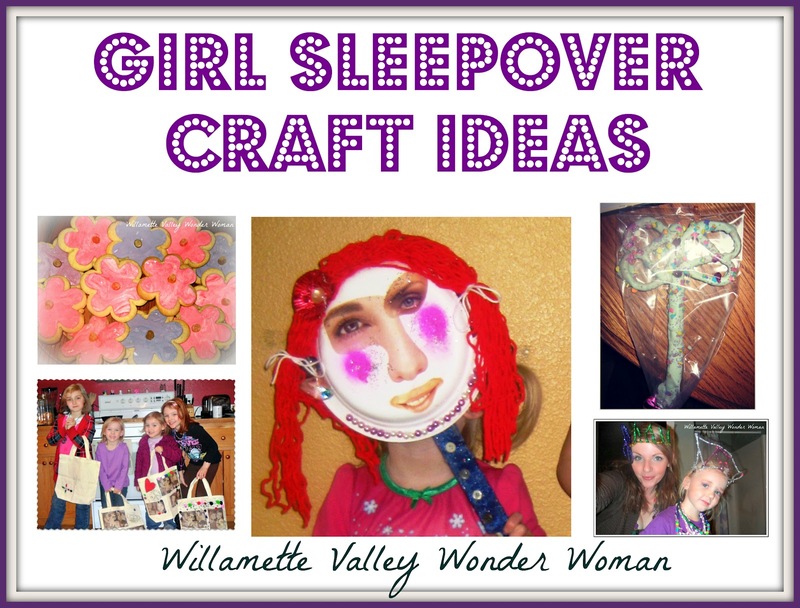 Sure your house will be completely thrashed when it is over, but you will be the coolest mom around 😉 Check out some Girl’s Slumber Party Ideas HERE and HERE. 5. Friday Night Movie Night. 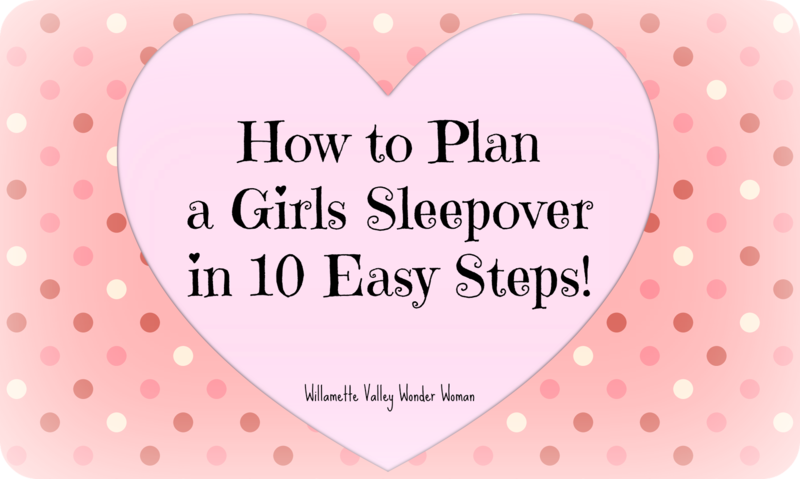 Let them pick out a movie, cuddle in their sleeping bags , stay up late eat lots of popcorn! 6. Chalk it up. Go grab a box of the brightest chalk you can find and create a chalk village together on the sidewalk or driveway! 7. Take them Bowling. This is a great one for a rainy day, and often times bowling alleys will have mid-day/mid-week specials. 8. Have a backwards day. You heard me right. The entire day. Backward. Let them put their clothes on backwards, and eat dessert for breakfast, than dinner. Have breakfast for dinner that night…do things that you normally do in opposite order! They’ll love it! 9. Go to a Children’s Museum. This is on my personal to-do list! There’s a couple great ones fairly close to me. Always make sure you check out the website online, because some of them have certain days of the month with reduced, or free admission! 10. Board Games and Floats. Break out the family games, and have game night. Get some vanilla ice cream ( if you are feeling extra creative make some! ), and buy some root beer and orange soda and have a fun family night! 11. Have a “Travel the World” week! I still have to try this one. Pick 5 places that you and your kids are interested about. Use the WWW and the library to learn some cool stuff about there, print some pictures, and make a ‘travel’ scrap book. Find authentic recipes to make, and create a themed dinner every night for those 5 days! Use your imagination….it will be fun to look back through the scrapbook, and you will all learn a thing or two. P.S. You know Italy will be on the top of my list! 12. Go to the Zoo. Make sure you pack snacks and take pictures of all the baby animals! 13. Skating anyone? Skating rinks are fun, inexpensive, and great for rainy spring days. 14. Decorate Easter Eggs! Easter is just around the corner, make sure you let the little ones color beautiful eggs! You can also decorate plastic eggs with stickers, glitter, paint, etc! 15. Go out for Ice Cream Pick an ice cream shop that you have never been to before. 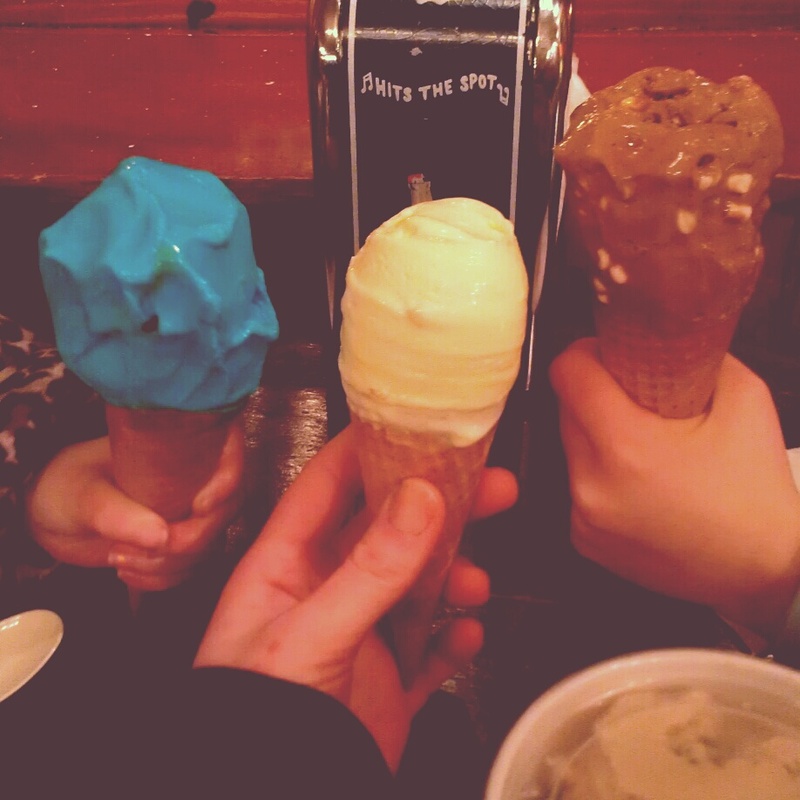 I love the little local ones…have everyone pick a flavor for each other! 16.Have a Picnic in the Park. Or backyard, or even in the living room if it’s too cold outside! 18. Go Visit a Farmer’s Market. Or Saturday market. I am lucky that we have a fun Saturday market year ’round where I live. There are lots that open up during spring break though – go be a ‘tourist’ and check them out! 19. Head to the Local Pool. Obviously the beach would be the first choice, but if you are not lucky enough to live next to one, take the kids to the pool for the afternoon and let them burn off some energy. 20. Plan Your Family Summer Bucket List . I know it sounds like a long ways off, but it will be summer vacation before you know it. Now is a good time to all sit down together and figure out your ‘must do’s’ for this summer. That way when the time gets closer you can start to schedule your summer accordingly. Remember, plan out your spring break, and let the kids be involved with choosing an activity! Most of all, take lots of pictures and have fun! plan ahead to visit a farm with a few animals that can be petted…plan ahead to visit a food factory, such as cheese, to see how things are made….and I remember that your school planned ahead for a pizza party at Abbey's for everyone to create their own pizza! You have a lot of great ideas, hope you all have fun! Great ideas! My boy would love the backwards day 🙂 You are obviously a very fun, energetic Mom- Hope you have a great rest of the week! Wow, what a great list. Thanks for linking up to the Whatever Wednesday Linky Party. Great ideas! We're planning a stay-cation later this month so these ideas will come in handy. I'd be thrilled if you'd link up at this week's Off the Hook! I love this list of family fun! Great ideas for any time of year:) Thanks for sharing! 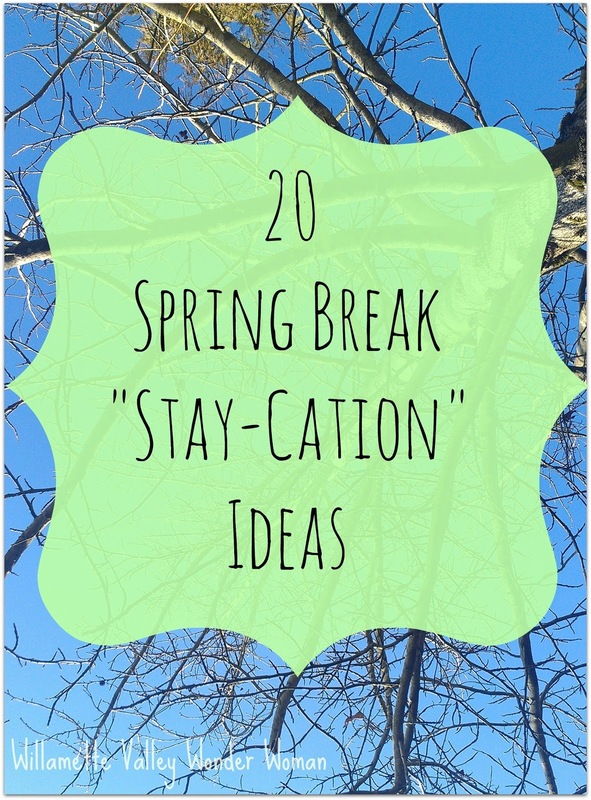 Tons of great ideas for spring break! Thanks for sharing them with us. 🙂 My kiddo and I are definitely doing a "stay-cation" this year, too. You already live in the most beautiful place this side of Hawaii! No need to go on vacation! Stay-cation is a great idea! Great Ideas- Really like the idea of planning a summer bucket list- ALways feel like the summer slips away and we don't get done all the vague things we'd like to do. Awesome roundup! Thanks for linking it up to Monday Funday! Melissa… these are all great ideas! I am so ready for spring break to get here!! Thanks for sharing with us this week! I love your list. I am pinning this and I would absolutely love it if you would share it at my link party. It would be a perfect fit for my audience. The link party will open tomorrow night at 8pm EST at http://www.realcoake.com. I LOVE this post!! I think sometimes we forget how good we have it right around us until we move or someone else comes to visit 🙂 Thank you so much for these staycation ideas!! I have a weekly Link Up Party on Thursdays that just opened!! We attract a lot of moms and I'm sure our readers would love to see this post. Hope to see you there at allthingswithpurpose.com. What a wonderful list!! So many great ideas for any time–not just a vacation week. Thank you for sharing at Sharing Saturday! These are fabulous ideas! Great post! Thank you so much for sharing at A Bouquet of Talent this week! So thrilled to have you share with us. Hope to see you again tonight at the new party. Have a wonderful weekend! Thanks for sharing all these ideas at A New Creation! We had spring break a few weeks ago and actually did many of the things on your list. It was great fun! These are all excellent reminders to enjoy every day! Love, love, love all the ideas Melissa!